In central Florida, nine people were injured in a three-car collision, according to News 4. The Jaws of Life was used to rescue two of the victims and multiple people were transported to UF Health Shands Hospital in Gainesville, via helicopter. In Miami Gardens, a six-vehicle collision left one dead and eight people injured, according to the Miami Herald. One person is in critical condition. In yet another incident, multiple people were seriously injured in an 11-car pileup in North Miami Beach, according to 7News Miami. Any type of traffic collision can be a traumatic event in which people may be seriously injured and may die. When three or more parties are involved, the injuries may be more severe, as roll overs and multiple-impacts at different angles and sides become more common. If you have been injured in a multi-vehicle collision, you need an experienced attorney to investigate the cause of the crash and discover who was responsible. The more parties there are in a collision, the more complex the case becomes. As with any type of investigation, the more parties involved, the more complicated the investigation. The scene of the crash will likely be more complicated to investigate than a two-vehicle collision, and may prove difficult for even an experienced law enforcement investigator to piece together. In multi-car crashes, each person involved will likely ascribe negligence to another and attempt to divert blame from them. There will likely be many attorneys and insurance companies all working to prove another party’s fault. It is best to get a head start in these situations by talking to an attorney soon after the incident. Under Fla. Stat. 768.81, more than one party may be found negligent in causing the accident. Negligence may be divided amongst multiple parties. For example, if you were found to be 10 percent at fault, you can only recover 90 percent of what you may otherwise have if you had not been comparatively negligent. 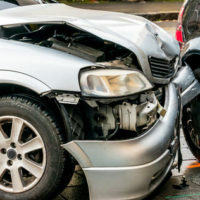 The more cars involved in the collision, the more likely that negligence may be divided amongst multiple parties, as opposed to a two-car crash where negligence and comparative negligence are easily apportioned between the two vehicles. If you were injured in a West Palm Beach multi-vehicle traffic collision, do not hesitate to call the experienced personal injury attorneys of Celeste Law Firm today at 561-478-2447 for legal support. We can help investigate your accident and ensure that you receive the compensation you deserve for your injuries.